Mario Ferrarini is an Italian designer, which has his own design company. He works with many international and famous companies, creating works of art in an industrial design and interiors, but also for the architecture. 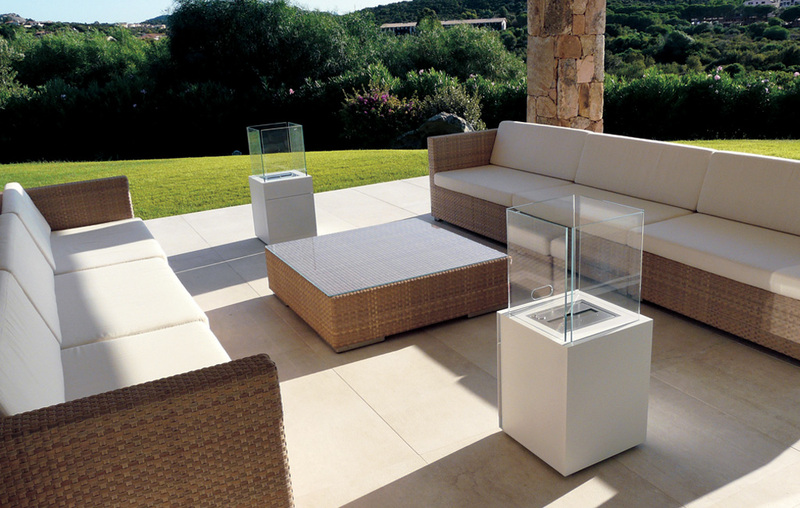 Babele bio fireplace is a result of the work of Italian brand Antonio Lupi with Ferrarini. The attractive device was made of 4 mm thick steel. The geometric structure of this bio fireplace has burner, protected with hardened glass. It is adapted to work both outside and inside. Babele is powered with bioethanol. Due to inside shelf, that can be used for any accessories such as glass set, tablecloths or other useful things, this bio fireplace becomes very attractive and practical. Babele is a modern bio fireplace – it shows excellent that combination of minimalism, quality and elegance works not only inside, but also in the gardens, terraces or public spaces, where it certainly enchains with the explicit and exquisite shapes. Babele will light perfectly the route in our garden, or on the big evening parties. It will excellent decorate and show the entrance to a close room. It is simply good sit down and warm up near its atmospheric brightness. Situated near the sofa in a living room or by the table in a garden, this bio fireplace will create unusual effect of elegance “must-have” piece of furniture. Italian project of Babele bio fireplace will certainly achieve recognition all over the world as unmissable item of every fan of stylish gadgets.